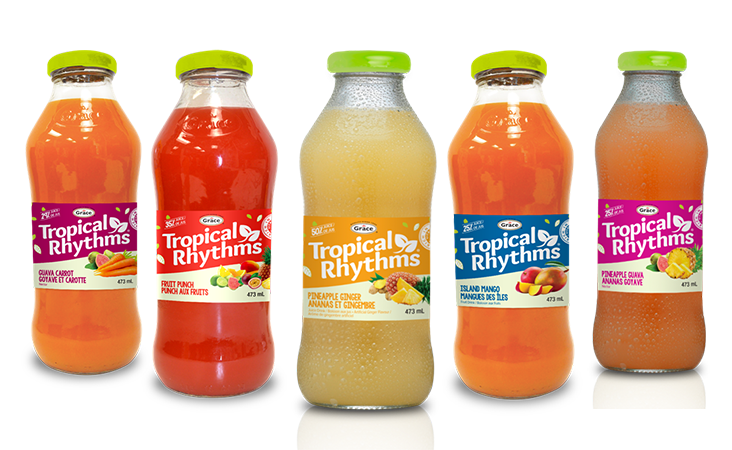 Feel the rhythm of the tropics with our eight exotic Caribbean Fruit and Vegetable blends. Specially formulated to capture and maintain their natural flavours and they taste great in cocktails too! 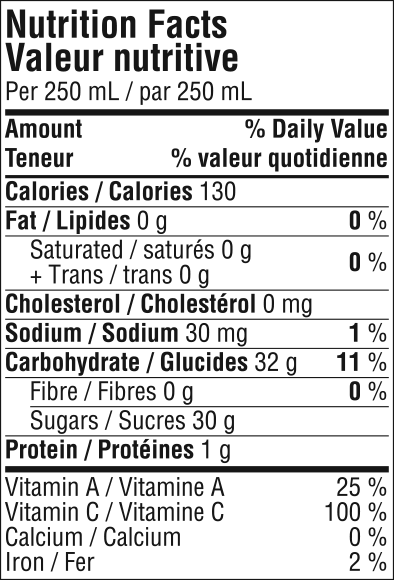 Filtered water, sugar/glucose-fructose, mango puree, concentrated carrot and apple juices, pectin, citric acid, natural flavour, ascorbic acid (vitamin C). Water, Sugar, Pineapple Juice Concentrate, Citric Acid, Natural Flavour, Sodium Citrate, Pectin, Ascorbic Acid (Vitamin C), Modified Corn Starch, Modified Palm or Coconut Oil, Sucrose Acetate Isobutyrate, Xanthan Gum. Filtered Water, Sugar/Glucose-Fructose, Concentrated Pineapple Juice, Pectin, Citric Acid, Ascorbic Acid (Vitamin C) Acacia Gum, Artificial Flavour, Rester Gum, Modified Corn Starch, Modified Palm or Coconut Oil, Sucrose Acetate Isobutyrate, Xanthan Gum. Filtered water, sugar/glucose-fructose, guava puree, concentrated pineapple juice, citric acid, pectin, natural flavour, absorbic acid (vitamin C), locust bean gum, modified corn starch, modified palm or coconut oil, sucrose acetate isobutyrate, xanthan gum, colour. Filtered water, sugar/glucose-fructose, concentrated cranberry juice, sorrel extract powder, concentrated sorrel juice, acaia gum, artificial flavour, ester gum, colour.